Accolade Safety is one of the most integrated distributors of protective and safety products, such as safety vests, as well as industrial equipment in Singapore. It has a strong sourcing ability, stringent cost-control measures, and a customer-driven strategy. It also aims to provide the best quality products and services at reasonable and competitive prices. Accolade Safety ensures that its products comply with all requisite quality standards. AccSafe comprises of Accolade Safety’s safety products and garment range. This includes head-to-toe protective wear such as heat resistant gloves, safety googles and chemical resistant aprons. If you are interested in selecting the best from the full range of high-quality branded safety products and personal protective equipment (PPE) from all over the globe, Accolade Safety is the place to go. In this article, we will feature some of the safety vests from Accolade Safety’s AccSafe Protective Apparels range. 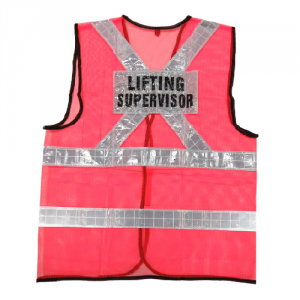 Are you looking for a creative way to ensure your employees wear their safety vests? This customisable safety vest is one that can meet all your needs. By customising your safety vests with your brand logo, you will be able to advertise your brand wherever your employees are. This helps to with brand exposure to potential customers. That is not all, you can also choose a printout at the back of the vest depending on the task or job assigned to the wearer. Having such customisable safety vests that are unique to your company would make your employees proud to wear them. This would also give your employees an incentive to comply with safety precautions in the workplace. After all, it is the company’s responsibility to minimize workplace accidents and casualties. 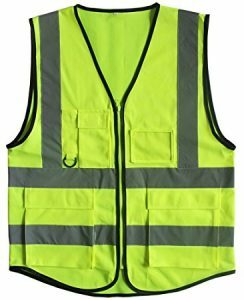 As a type of personal protective equipment (PPE), this vest is in an easily discernible colour, with the most commonly used colour being yellow. Not only so, it also has highly reflective properties so that the workers remain visible, even in the dark. Such safety vests are commonly worn by workers in emergency services for easy identification. This also includes people who work on roads, railways, and airports as they work in close proximity to moving vehicles and in dim environments. Therefore, you have to ensure that your workers are wearing such safety vests, especially in workplaces where danger levels are high. 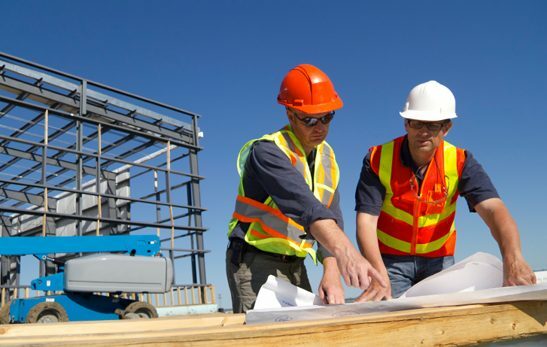 It is essential for workers, especially those in blue-collared jobs, to wear brightly-coloured vests to remain visible in dangerous environments. Though the safety vest is a simple and lightweight garment, it can prevent the occurrence of unfortunate incidents, therefore, ultimately keeping workers safe. Apart from being in a striking and bright colour, the safety vest also contains a sliver reflective tape to provide maximum visibility. Having such features in a safety vest makes it easier for others to identity the workers. The AccSafe vest is an affordable option that provides both comfort and protection. For superior functionality, it also includes two pockets, one on the upper left front and the lower right inside. Having pockets allows workers to conveniently carry important documents on-site. Additionally, it also features a front zipper, making the vest secure on the worker’s body. The fabric of the vest is 100% polyester mesh, which is what makes the vest durable. 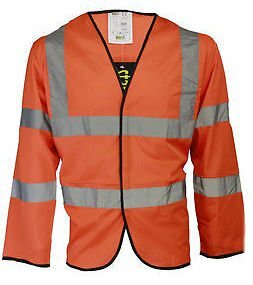 Something a little different from the other safety vests in the market is the long-sleeved safety vest. With fully-covered sleeves, this particular safety vest offers optimum coverage with minimal weight. This provides heightened protection while maintaining comfort. Similar to the aforementioned products, the silver reflective tapes adds visibility to the wearer. The vests also includes touch tape fastening for added security and easy adjustment. The cuffed sleeves serve as an additional function to prevent the wearer from being exposed to hazards. The AccSafe safety vests are assured to be long-lasting due to the durable polyester fabric used. The vest also features internal and external pockets for you to conveniently carry your belongings such as pen and phone with you. Wearing something as simple as a safety vest or safety shoes could make a difference between being safe and putting oneself in danger. Thus, we should never overlook or undermine the importance of using personal protective equipment (PPE). While it is vital to prevent workplace hazards as much as possible, it is equally important to safeguard your employees from them as well. Keep your employees protected and safe with Accolade Safety’s AccSafe protective wear. We have written this article in order to highlight our merchant. Please do not hesitate to contact us here if you would like your company and/or your products to be featured.